Big names in luxury cars’ producing keep experimenting with their new model and BMW 520i engines use petrol just like the smaller sibling. This mid-sized saloon is a luxury vehicle that gets power from a four-cylinder engine. The unit is capable of 184 bhp and torque of 27 Nm. By putting it in comparison to the smaller sibling of 320i with the same engine it may seem lethargic with 170 kg more weight. BMW 520i engine supply and fit are getting popular as used car engines are cheaper. With only one Luxury variant the model does not offer much variance that is quite a regular feature of the upscale cars’ lineups. Yes, it is expensive but to travel in a luxury cabin always require a serious spending. The carmaker has been known for its ultimate comfort and superb driving experience offer and it is interior to give you the real value of the money spent. You get a 10.2 inches screen with a number of digital features and improved material used to build the ambient space. Dashboard style has not been changed as it is simple and elegant so no need to make any alteration. It has almost got everything that other rivals have been offering and buyers usually expect to have. This luxury saloon segment is full of options and to appeal the buyers the companies keep making additions. Appearance is of great importance and it should satisfy the appetite of lavish looks. BMW has a peculiar exterior and for BMW 5 series it has the best balanced and attractive appearance. And when you get inside the interior space is also nothing short of the impression you have made from the outlook. With accurate and responsive steering handling becomes a treat. 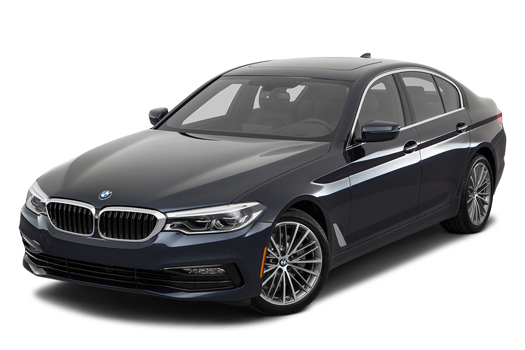 While turning at speed the crisp of driving remains truly with you so once again the car maker has proved its worth on both basic fronts of comfortable ride and driving excellence in the 5 series car. Leather covers of the cozy seats, climate control for the two rows of the seats, iDrive comes with a touchpad and you can memorize the front seats the most suitable sitting position. With this level of leisure and care of the occupants, it is hard to find a fault while having a pleasure to enjoy a ride of this car. The passengers on the second row are no way less important so they have the very much similar treatment in terms of comfort. The offer of the spare wheel is really good but it would make boot space little congested so you have to make a choice between the two. Now comes the strongest of areas of this car maker and it is power unit. It is powered reasonably well to move around and leave behind a vehicle on a wide open road. The turbocharged engine gives it a real life and also make it a bit sporty in nature but not like a less weighty chassis of 320i. It is almost quiet at every juncture so you enjoy the ride and drive in a great atmosphere of the cabin. The car reaches to hundred kilometers per hour speed mark in just above eight seconds time so acceleration is reasonable if not outstanding. To make it more responsive you can turn to sport mode and it is with a single push. The economy is also good and you do need to worry about while cruising to a distance destination. With new tech specifications, the cabin has every entertainment possibility for an automobile.